STANFORD, Calif. (www.mubadalasvc.com) – The Bank of the West Classic announced today the addition of two more top ten players to the lineup of competitors for 2015. World No. 9 Carla Suarez Navarro and World No. 10 Angelique Kerber have entered the Bank of the West Classic joining World No. 1 and defending champion Serena Williams in what is becoming one of the top player fields of the summer hardcourt season. Individual tickets and packages to all sessions are currently on sale now. 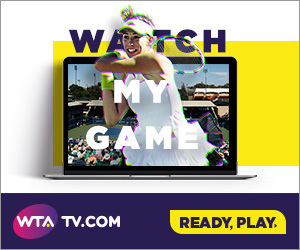 Tickets for this year’s event, which will be held August 3-9 at Stanford University, can be purchased online at www.mubadalasvc.com or by phone at 866-WTA-TIXS (866-982-8497). Carla Suarez Navarro is putting together an impressive season, reaching her career high No. 8 world ranking on April 18. En route to her first WTA Premier Mandatory final at the Miami Open, she defeated Agnieszka Radwanska, Venus Williams and Andrea Petkovic. Her success did not end there. The Spaniard continued to bolster her resume at the Internazionali BNL d’Italia where she reached another final. It was the first event where she defeated three fellow top ten players: Genie Bouchard, Petra Kvitova and Simona Halep. Suarez Navarro is no stranger to winning at the Bank of the West. Last year, she captured her first doubles title with fellow Spaniard Garbine Muguruza. Angelique Kerber will return in an attempt to capture the crown that eluded her in 2014. The top-ranked German woman is a familiar face at the top of the rankings. The lefty has made the semifinals of both Wimbledon and the US Open with her highest career ranking being No. 5 in the world. At the 2015 Porsche Tennis Grand Prix Kerber claimed her biggest singles title to date with her victory over Caroline Wozniacki. En route to the title she defeated Maria Sharapova joining Serena Williams as the only players to beat Maria Sharapova on since 2011. The Bank of the West Classic offers several different seat options with prices to fit everyone's budget so reserve your seats today. Qualifying will be held August 1-2 and is free to the public. Log on to www.mubadalasvc.com for more information. ABOUT IMG: IMG is a global leader in sports, fashion and media operating in more than 25 countries around the world. IMG’s businesses include Events & Media, College, Golf, Tennis, Performance and IMG Academy, Fashion, Models, Clients, Licensing, Joint Ventures, and creative management agency Art Commerce. In 2014, IMG was acquired by WME, the world’s leading entertainment and media agency. Together, the companies offer an unparalleled client roster; strategic partnerships with sponsors and brands; and marquee assets across sports, entertainment, events, music and fashion.